The Shareef don’t like it. This is going to sound awful but don’t you find that Barry Levinson is just someone that, every now and then, you forget exists? He directed Diner, Good Morning Vietnam and Rain Man and yet it’s always a surprise when his name get brought up. “Oh yeah, Barry Levinson. You exist.” You feel me? Levinson’s new film is Rock The Kasbah, and it’s feeling particularly Levinsonish. You either know what I mean by that or don’t, although I’m not entirely sure I know what I mean by that. Bill Murray is in it, who’s in a lot of things nowadays. Zooey Deschanel, Kate Hudson and Bruce Willis are also in it, and they haven’t been in all that much recently. There’s war. There’s sand. There’s music. There’s Murray. What else does Levinson have to do to entertain you? 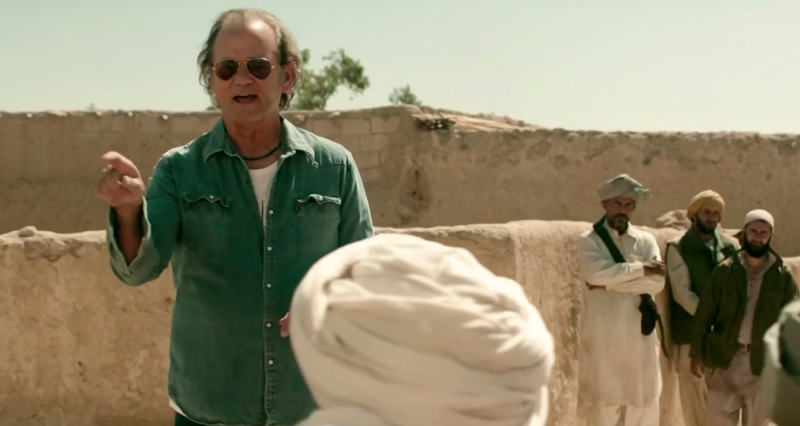 Rock The Kasbah stars Bill Murray, Bruce Willis, Kate Hudson, Zooey Deschanel, Danny McBride and Scott Caan and is set for release in October, 2015.